The Edo period, Japans love affair with the past, much like how in America they romanticized the Old West in various forms of media. Many story tellers have visited the Edo period time and time again wanting more, with one of the most habitual examples being Kazuo Koike. Writer for several titles taking place in this time period shows just how much he has been taken in by its sweet embrace. It is the same as Sergio Leone and his love for Westerns, and his undoubted need to repeatedly come back to that time period. 2004’s Color of Rage is one of Koike’s examples of his need to revisit this era. 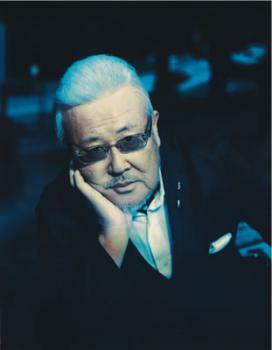 Kazuo Koike is most famous for creating such titles as Lone Wolf and Cub and Crying Freeman; which I have both personally read and thoroughly enjoyed. Not only has he created beloved titles the world over but he is also a Professor and Dean of the Character Figurative Arts Department in Osaka University of Arts. This is Koike’s own school that he created that has influenced and produced a number of famous people such as: famous video game composer, Koji Kondo, Azumanga Daioh and Yotsuba&! mangaka Kiyohiko Azuma, and Ghost in the Shell series mangaka Masamune Shirow. He has won two prestigious Will Eisner Comic Industry Awards, one in 2001 for Lone Wolf and Cub in the Best U.S. Edition of International Material category and another in 2004 for being inducted into The Will Eisner Award Hall of Fame. The artist for Color of Rage is Kanou Seisaku, whose other notable works include, Auction House and Jikken Ningyou Dummy Oscar, both also written by Koike. 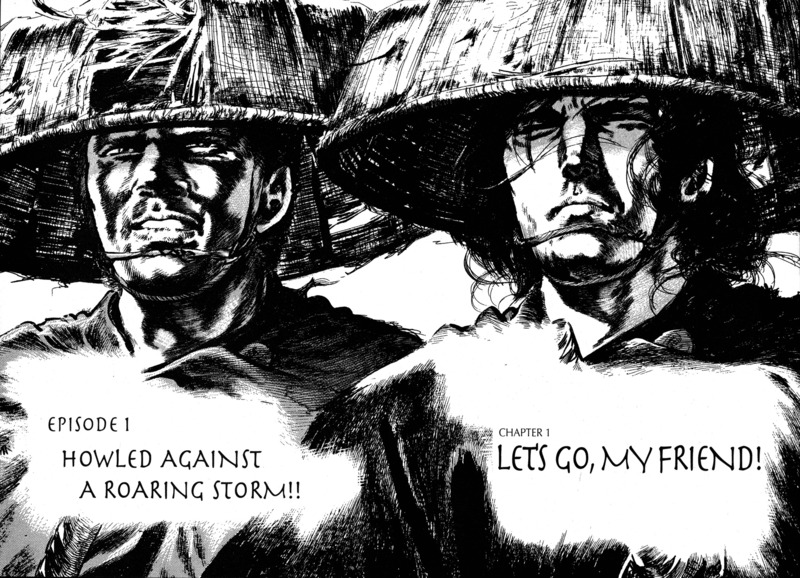 Color of Rage takes place in the darker Edo Japan filled with corruption, famine, and lots of dying. What stands out about this Edo period from others depictions such as those in Rurouni Kenshin or Samurai Deeper Kyo is that it is more realistic and far less stylized. Not only in the way it is drawn and the character designs but as well as in the dialog, but I will touch on that later. This takes place during a time when there was a great famine in Japan that actually coincides with real historical events giving Color of Rage some historical accuracy. This is not the only piece of history thrown into the story; it also includes the eruption of Mt. Asama. Color of Rage follows two escaped slaves; King, an African slave and George, a Japanese man with him on the ship, as they make their way across Japan to George’s hometown to seek refuge and start new lives. Along the way they try to pass unnoticed as best as possible but this proves difficult as innocent people are constantly getting caught up in trouble. Throughout the story, King wants to help anyone good in trouble because he knows the pain of being oppressed, a some criminals and government officials do constantly throughout the story. Being from Africa, King does not understand the language or the culture that he has been thrown into when he escaped the ship, and thus George doubles as his translator and cultural guide. Like many of Koike’s other works, the artwork is hyper realistic with lots of attention to detail. Seisaku greatly adds to the story by reflecting the tone and atmosphere for the writing done by Koike. The detail in the artwork such as the faces and background really meld with the characters well. Trees, houses, and just about everything Seisaku draws is life like and super stylized. Even when switching from day time tonight time he is not hindered one bit and his art stays at a constant level throughout the entirety of Color of Rage. Pros: In Color of Rage the story flows relatively well with King and George always on the run and meeting new people per chapter. This does not stagnant the story and there is always something to look forward to when you turn the page. With both of them fighting for their lives trying to survive, the action scenes seem more urgent and pressing than if they were just sneaking around. Cons: The story does not wrap up at the end. I would have liked to see the end of King and George’s journey together and see what they have been thorough come into flourish. With all the fighting they went through just to survive and the numerous people killed getting to George’s home town was a reward I was looking forward to at the end. King and George can get a bit preachy about their ideals and morals, for example when innocent people are being killed they have the option of turning the other way and continue unhindered on their journey or fight to try to save them and in turn not only risk being caught but being wanted and possible trailed. Fans of Koike will only get a light version of what they are used to seeing. This can be chalked up to being “Koike light” and mostly focuses on characters and action and none of the crazy things he is known for doing. I believe Color of Rage to be an excellent way to introduce someone to Kazuo Koike considering this is one of his lighter works in regards to the crazy insaneness, new readers will be pleased that given the chance he can only go up from here. With excellent character designs, beautiful artwork, and engaging story, Color of Rage is an interesting dip into a Koike infused Edo period.